Exploring what children read—and how they read—by genre and gender. Roger Sutton knows how and why children read. He must, as the editor in chief of THE HORN BOOK, which since 1924 has been America’s best source for reviews of books for young readers. But for many parents, selecting books for their children can make them feel lost. 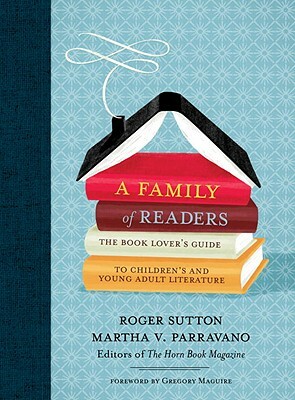 Now, in this essential resource, Roger Sutton and Martha V. Parravano, executive editor at the magazine, offer thoughtful essays that consider how books are read to (and then by) young people. They invite such leading authors and artists as Maurice Sendak, Katherine Paterson, Margaret Mahy, and Jon Scieszka, as well as a selection of top critics, to add their voices about the genres they know best. The result is an indispensable readers’ companion to everything from wordless board books to the most complex and daring young adult novels. Martha V. Parravano has also been at THE HORN BOOK since 1996 and is now the magazine’s executive editor. She lives in Arlington, Massachusetts.